The 2018 Call for papers can be found here! 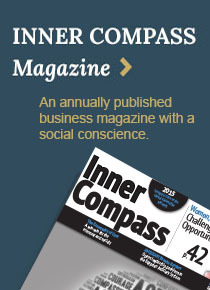 Click here to access all of the previously published articles. Please feel free to download the articles and send them to your colleagues! In 2009, the International Association of Jesuit Business Schools (IAJBS) decided to adopt a ten-year mission to actively promote the concept of Global Sustainability, the single most important issue confronting the world today. While our business schools have long been advocates for environmental sustainability and social justice in our classrooms, in our research, and in our social service, much of this work has been done through each school's individual initiatives. The idea borne of the 2009 IAJBS World Forum at XLRI in Jamshedpur was that by working together, our network of Jesuit business schools is uniquely positioned to play a strong leadership role in pursuing our mission of achieving global sustainability and creating socially just and spiritually-whole ways for all species to thrive forever. One important mechanism for us to realize this critical mission of our schools and the IAJBS is through the promotion of joint scholarly research among the Jesuit business school faculties. Thus, the Journal of Management for Global Sustainability was launched in 2011 as a scholarly outlet for publishing original research on ways public and private sector management practices can advance global sustainability. 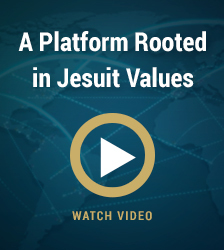 It is one additional avenue for Jesuit business schools all over the world to work together collaboratively in providing leadership in an area that is closely aligned to our mission. The Journal of Management for Global Sustainability is a peer-reviewed scholarly journal devoted to publishing original research and commentary on the field of management for global sustainability. Global sustainability is the broad set of interconnected issues that encompass, but are not limited to, achieving environmental preservation, social justice, poverty eradication, social entrepreneurship, desirable production and consumption patterns, species and resources preservation, and spiritually rich lives at this time in our species' history on this planet. The journal has already achieved its aim of creating avenues of cooperation for research among the Jesuit business schools through the creation of our international editorial board. At present, the journal has three Co-Editors to oversee the quality of the academic research and to provide editorial direction regarding the content of the journal. The co-editors are supported by an international Editorial Board consisting initially of a team of faculty members from IAJBS member universities.